Share your story by sending a pretty and stylish holiday card to friends & family. Share your story by sending out a pretty and stylish holiday card to all your friends and family. 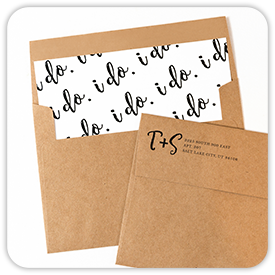 Order with our quick ordering system, and add on fun upgrades of your choice such as premium papers and matching printed envelopes. With hundreds of beautiful holiday cards to choose from in our online gallery, we are sure you'll find a card design you LOVE. 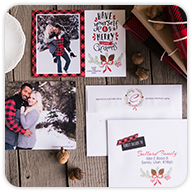 Have fun browsing our holiday card collections where you will find a wide variety of card shapes and sizes, such as double sided, folded, tri-fold, accordion, slider, and die-cut cards. We even offer FOIL cards! Choose your favorite foil card design, and when selecting your favorite upgrades, make sure to pick your favorite foil color for your card. Simple traditional designs that are always fun and heart warming. These amazing prices are available on our Sparkle and 'Tis the Season collections. 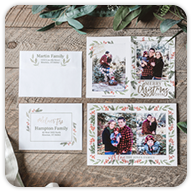 New for 2018 is Our Farmhouse Holiday collection, amazing card designs with matching envelopes that will wow and amaze! Don't forget our amazing Merry & Bright, Merry Little Christmas and Dream Collections! These are some amazing cards, and we're sure you'll agree. From very elegant, unexpected holiday cards, to modern, sleek and stylish cards, you'll find it all in our designer collections. With new designers and new cards every year, we bring you many different styles to choose from. 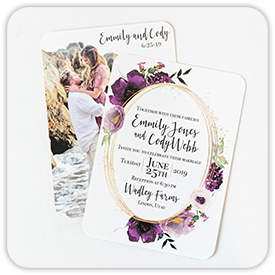 Already have your card designed? 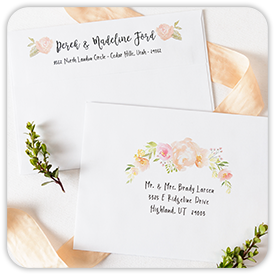 Use our Your own Design to simply send us your ready to print card. Custom designs take 2-5 days to create and this time WILL INCREASE in December. Designs ordered after Dec 14th may not be ready before Christmas. 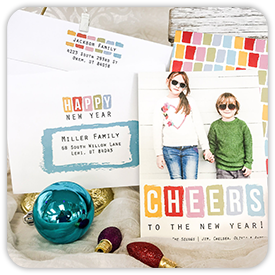 There is a $5.00 flat fee for each proof requested for our holiday card templates. This largely depends on your personal preference and which papers you like, but we do have a few recommendations. 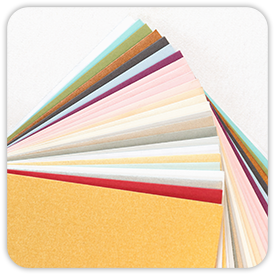 Lighter colors and background will show off the shimmer effect of our pearl papers, while dark colors or designs are better on the other papers. Many of our papers are very thick, so some cracking should be expected if you run your images or designs over the folds. All files MUST be in RGB mode (not CMYK, grayscale is okay) and use the sRGB profile. Any other profile will give undesired results as the colors will not be printed correctly. All templates and designs by Pro Digital Photos will have our web address in the card design. We try to keep the web address small and discreet so it does not detract from your card. We can remove the web address from holiday cards for a fee. 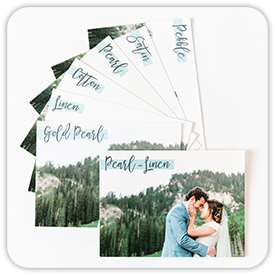 Select a collection below and browse our cards. You can click the 'Preview Card' button in the description of each card to see a large preview. Use the search options on the left to narrow your search and find the perfect card.